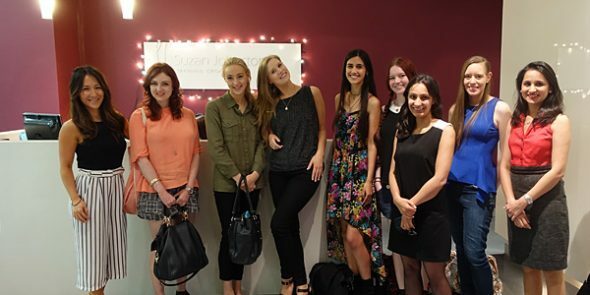 Since the early 1970s, Suzan Johnston Australia has been Melbourne’s leading and most respected business college. 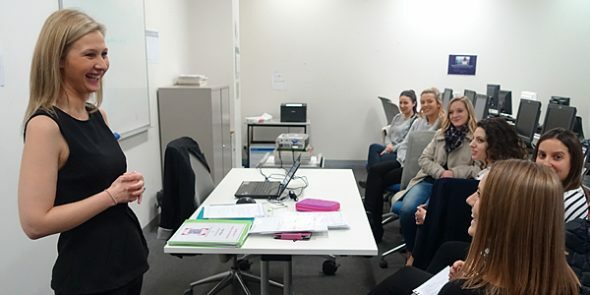 For decades, we’ve been devoted to delivering quality training courses that provide our Melbourne business course graduates with skills and knowledge that are current, relevant and reflective of industry needs. Our comprehensive administration courses are perfect for those looking to take those first few steps towards a career within an office, or for those who may wish to build on existing skills to assist them in the advancement within their current administration careers. Completing our business training effectively equips graduates with a variety of solid skills required for roles ranging from receptionists to office managers and everything in between. In addition to these scheduled class times, you will also be required to complete a small amount of homework (approximately 6 – 7 hours per week). If you would like to receive the Enrolment Form for our BSB30415 Certificate III in Business Administration please contact us and we will send a copy (along with other additional course information) to you promptly. Why should I complete an administration course with Suzan Johnston? 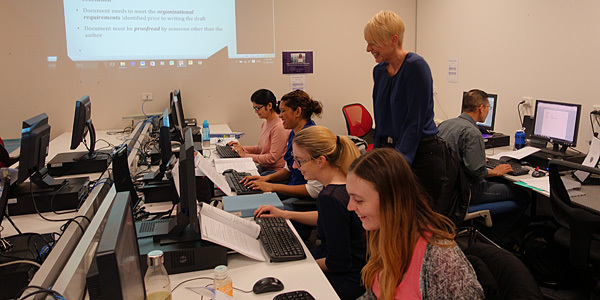 For more than 40 years, Suzan Johnston has been delivering business administration courses in Melbourne, helping to open the doors to employment and long-term career success for countless of our course participants. Our nationally accredited administration courses are carefully designed to deliver a well-rounded balance of theory and practical curriculum. Experienced trainers will guide students through the program in a simulated work environment, training them to plan and coordinate work tasks using time management skills as they work under real time constraints. So many other training organisations are offering business administration courses online – why don’t you offer online training as well? We take pride in being one of the very few training organisations that still deliver administration courses in a classroom setting. We believe that important skills such as customer service, telephone techniques and computer software are best taught in a supportive, face-to-face learning environment. Our Certificate III in Business Administration course offers participants small class sizes and a uniquely hands-on, personalised learning experience that effectively fine-tunes and broadens the knowledge base and skill sets of our students. Why should I do the Suzan Johnston Business Administration rather than Medical Receptionist Courses or Legal Secretarial Courses? The structure and content of our Business Administration Courses ensure that our graduates are all multi-skilled and extremely versatile with their employment opportunities. In fact, you will find that the various Certificate III in Business Administration courses currently on offer at other registered training organisations, including those specialising in medical and legal fields, share many of the same core and elective units. Do I have to find my own Practical Placement/Work Experience? During our full-time Certificate III in Business Administration course you will undertake 10 days of industry placement. This Practical Placement opportunity is also open to part-time students who wish to participate in the experience. Over the past 60 years, Suzan Johnston Australia has forged strong relationships within the corporate world and has a bank of employers who regularly host students of our business administration courses during practical placement. Our current hosts include employers from a wide variety of industries including legal, real estate, medical, accountancy, educational, architectural, employment agencies and interior design firms. Your trainer will arrange your practical placement with a suitable host, taking into consideration your preference for industry, job role and geographic location. Other than the training sessions, how much homework will I be expected to do? During the business administration course the majority of your learning will be done within the classroom however, some additional learning activities and also your final assessment tasks will need to be completed as homework. We expect our students to dedicate approximately 4 – 7 hours per week as homework time. I don’t cope very well with stressful exams – Help! Well, you’re in luck! Our Certificate III in Business Administration course does not include any stressful written tests or exams. The entire course is highly task orientated and all assessments are designed as practical exercises in the form of written Q&A’s, role plays and short presentation. Your trainer will assist and provide you with learning support you whilst you complete these tasks. All our business administration course students have the opportunity to participate in Suzan Johnston’s signature personal development lessons that are specifically designed to enhance confidence, communication skills and job-readiness. During the Job Interviews Workshops, you will receive personalised advice and direction with résumé preparation, interview techniques, deportment/body-language and the refinement of your corporate image. During your Certificate III in Business Administration course, you will need to purchase a few text books (totalling $289.00). These items are available from Suzan Johnston Australia and can be purchased upon course commencement. Please see the relevant course enrolment form for more details. Why should I complete a training course at Suzan Johnston Australia? We pride ourselves in the employment success of our Business Administration graduates.